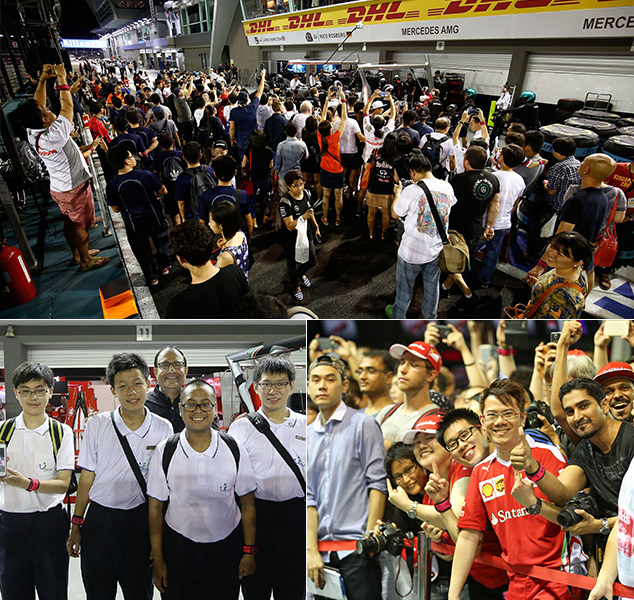 15 September 2016, Singapore - 3,000 people walked the Singapore Formula 1 pit lane before the Circuit Park officially opens to ticket holders tomorrow for the 2016 FORMULA 1 SINGAPORE AIRLINES SINGAPORE GRAND PRIX. As part of the Singapore GP's Rev up Singapore! initiative, the programme enables guests to get an exclusive up close view of the race cars and the pit crew in action at the team garages.